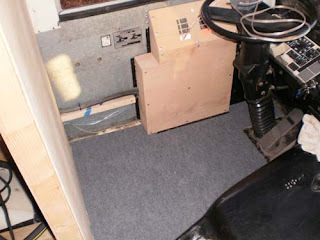 Today I installed the water proof outdoor carpet where the divers seat will be. Besides that we planned out how the dash will be paneled. Should have the dash done this week sometime.